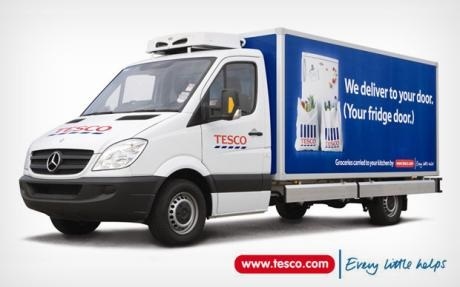 Tesco has launched a same day ‘click and collect’ service for groceries as it moves to fight off threat from Amazon. Under the new scheme, customers will be able to shop from their smartphone, laptop or computer. The supermarket giant will offer the service from 300 stores to people who do not have the time to trawl the aisles in search of bread and milk. Customers will be able to shop from their smartphone, laptop or office computer in the morning and pick up their purchases on the way home. The innovation follows the decision by Amazon to start selling groceries online with same day delivery. The move also underlines the importance for supermarkets of making their online grocery service as convenient as possible in order to appeal to time-pressed shoppers. Terry Hunter, UK Managing Director at Astound Commerce, commented on the move: “Supermarkets and ecommerce giants are in a race to offer consumers an unrivalled level of convenience in a time-poor, brand promiscuous world. Tesco’s latest move to provide consumers with a three hour click and collect service is recognition from the retailer that consumers want the ease of shopping online. Yet some don’t have the time to plan their food order a week in advance, never mind knowing whether or not they’ll be available during their designated delivery slot. “It’s no longer enough for retailers to focus their efforts entirely on either the in store or online experience. Consumers no longer shop exclusively on the high street or via a retailer’s website – there’s a time and place for both, and for many shoppers the convenience of browsing online from the comfort of the sofa and the touch and feel of a product in store are equally important.